Our tools are mainly used for Kimono weaving, but can also be used for weaving torn cloth or many other kinds of tapestries. 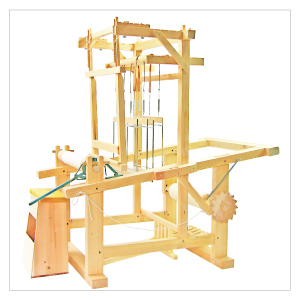 The opening of the heddle device is a pulley style, which has an opening at both ends. Sitting on the floorboard of the loom you will be able to comfortably control the working of the loom using your body weight. We offer a versatile assortment of weaving machinery that are both spatially efficient and affordably priced. We are also able to produce weaving machinery with a width up to 65 cm (although an increase in price may be necessary). Price tags do not include 8% sales tax. 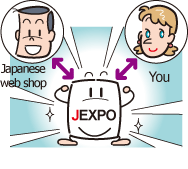 While focused on Kimono weaving, other weaving styles are also possible. 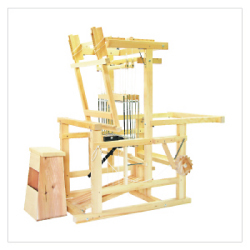 The opening of the heddle device is a pulley style, which has an opening at both ends. We offer a versatile assortment of weaving machinery, which are both spatially efficient and affordably priced. We are also able produce weaving machinery with a width up to 65 cm (although an increase in price may be necessary). Our looms have been created through the continued refinement of the traditional handloom models of the Nishijin district of Kyoto. They are incredibly sturdy and able to produce a durable fabric with high warp tension. 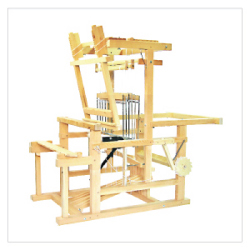 This loom is steadily supported with four pillars and a frame with a wide width. They are incredibly sturdy and able to produce a durable fabric with high warp tension. 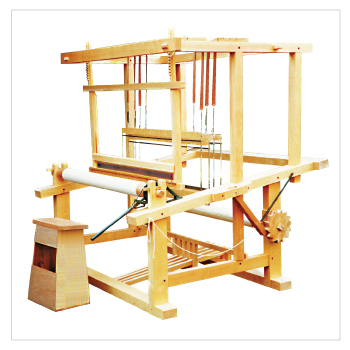 This loom is well suited for a large form tapestry.